Full article will be published in one of future Scale Aircraft Modelling magazine issues. Wow! You are cranking these beauties out! Nice job Seb , Love the weathering and overpainted bort number! Thanks Tony! Glad you like her! Hi Sebastijan. Very nice model. I have been looking for refernces on this plane in particular as I have began to build the same kit. I have read your article in SAMagazine on it and I have two questions if I may. 1/ the kit comes with 3 options of external fuel tank. Im wondering which ones to add and have built and primed them all incase. The instructions, marking sheet and cover art dont go into detail about the external tanks. What reference did you have that made you choose those particular tanks to add your model? 2/ the article mentions a book on the mig15 by 4+ publications does this book have references of this exact airplane or just ones from that era? Eduard says that they based the marking on visual references and have been unable to find any myself. Many thanks in advance and thank you for making such inspiring models. 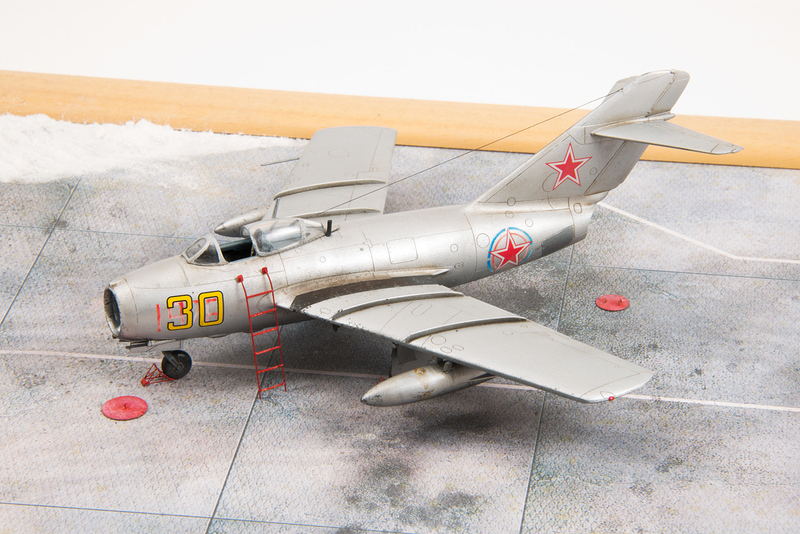 Re fuel tanks – I have read somewhere, the early slip-on tanks were used mainly on early MiG-15s, while the bis versions mainly used the type I’ve used. I don’t recall which type of pylon I’ve used – 3 point or the longer one. The info about the 4+ book was add by the editor; unfortunately I haven’t seen the book in person. I have searched extensively for the photograph of the given bird, but was unsuccesful, so I just trusted Eduard’s instructions. 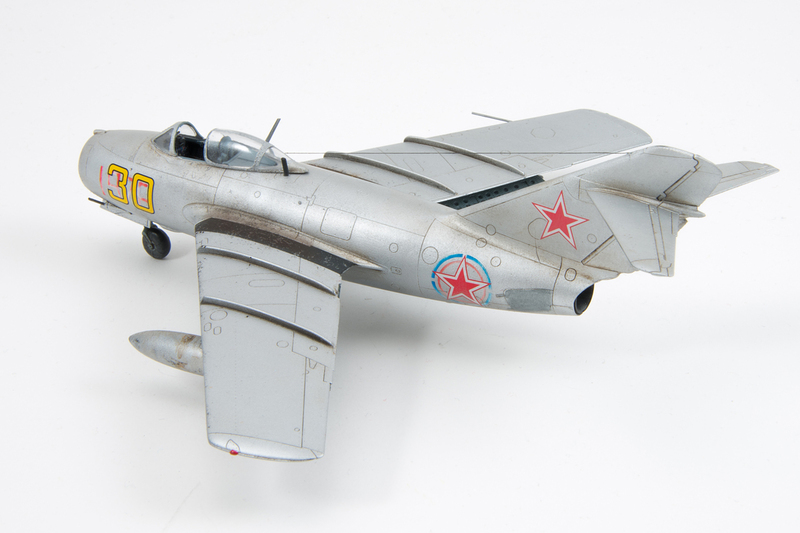 I found the reference that eduard used for this Mig. I know this build was a long time ago for you but would you like the image and details of the book used? Great! Ive sent an email to you.